Many of the greatest journeys undertaken by humankind have been made possible by great vehicles. The pinnacle of technology during their lifespans, these ships, planes, cars, and rockets have become nearly as famous as the men and women who captained them. Christopher Columbus, for example, sailed on the Santa Maria and James Cook piloted the HMS Endeavor. Charles Lindbergh was able to cross the Atlantic in the Spirit of St. Louis, and Neil Armstrong and Buzz Aldrin flew to the moon while riding on the Apollo 11. Our planned trip to Brazil is an infinitesimal dot on the timeline of these great human achievements, but we needed a vehicle to take us there just the same. But it’s fun to be a little bit romantic. 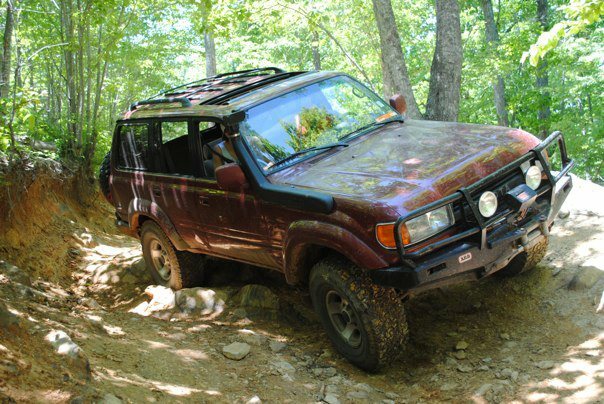 We chose our 1994 Toyota FZJ80 Land Cruiser for a number of important reasons (none of which were gas mileage). We considered the Land Rover Discovery, Jeep Wrangler. In planning, we narrowed our main needs down to four: ability, comfort, reliability, and ubiquity. 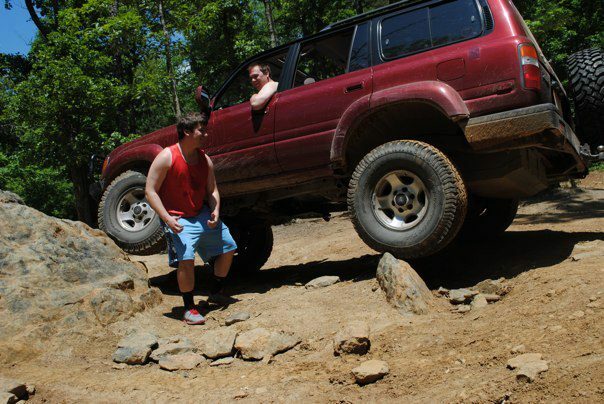 In terms of ability, the Land Cruiser is close to unstoppable. While not quite as nimble as the Wrangler, with the extra lift, tires, and winch, it should have no trouble with the South American roads. Not to mention the snorkel, which will probably never be used. 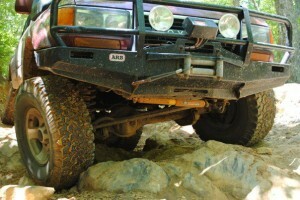 Similarly equipped Discovery’s and 4Runners are comparable off-road, though. Next up is comfort. In this category, the Land Cruiser edges out the Jeep Wrangler due to being a much larger vehicle with more cargo space, but loses to the Discovery. While a definitely a luxury vehicle, when it came out, the Land Cruiser can’t match many of the comfort featured offered by the Disco. The final two categories, reliability and ubiquity, are probably the most important for an overland journey to Central America, and they are where the Land Cruiser really shines against the competition. 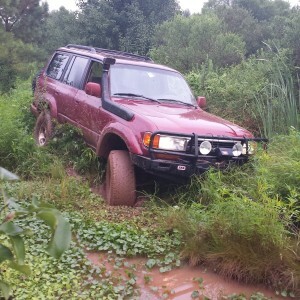 While Land Rovers have earned a general reputation for having many electrical and mechanical problems, the Land Cruiser is virtually indestructible. Many people report reaching 300,000 mile with only occasional oil changes. Partly because of this, they are found throughout the developing world, often as transports, ambulances, and government vehicles. This ensures that, in the rare event that there is a breakdown, parts and mechanics are readily available. So, after months of searching, mostly online via Craigslist and EBay, I finally found our FZJ80 (cool name still pending). I flew in to St. Louis on a Sunday night, spent the night in the airport, and in the morning took a prop plane to the tiny town of Lebanon, Missouri. There I met a man named Teddy, bought the car, and drove 14 hours back to Durham, NC, arriving just in time for work on Tuesday morning. Here she is, in all her beauty. 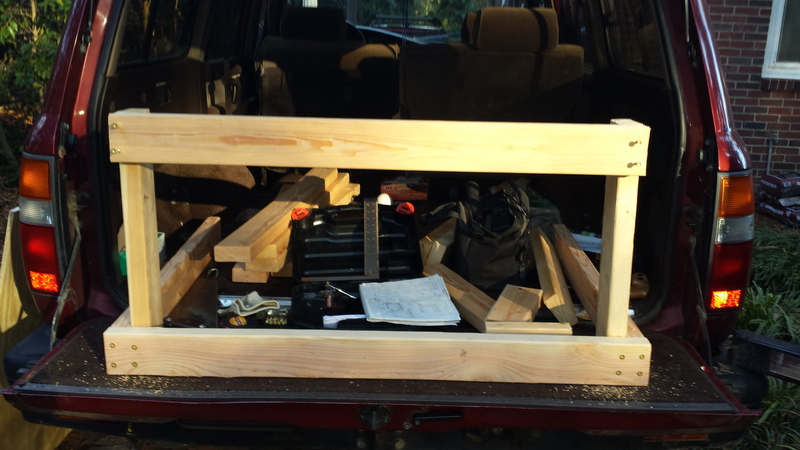 When I got it, she was already fairly well equipped, albeit a little rough around the corners. Drivetrain wise, upgrades include a 4” Old Man Emu lift and 35” tires all around, paired with ARB axle-lockers front and rear. It also has skids plates on the transmission and all of the differentials. Up front, it is equipped with an ARB bull bar, Warn winch, and a (likely to never be used) snorkel. Full flush and replacement of all engine fluids. Replacing the headlight wiring harness and installing driving lights. 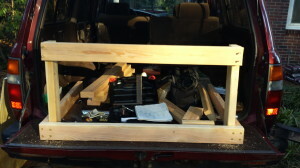 Build sleeping platform in the rear. Finish installing auxiliary gas tank. More when we think of them! In the end, our Land Cruiser is probably a little bit overkill when it comes to our journey. The majority of the roads on our 7,500 mile journey will be adequately paved or nicely graveled. But where’s the fun in that? 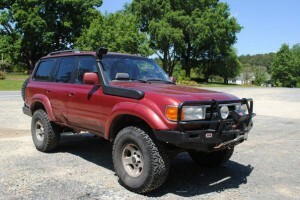 Many thanks to all the websites, people, and communities that helped me become a Land Cruiser junkie. Special thanks to the communities at Expedition Portal and ‘Mud. Great choice on the vehicle! My family is Colombian and I grew up hunting and fishing off the beaten path. In all my travels down there the Land Cruiser always emerged as the best vehicle. Good luck!!! Hey guys . First off Im totally jealous but good luck on your journey . I am with a Toyota dealer back in the Triangle and I’d like to plan something for for you guys when you get back in town .Would this be something you would be interesting in being part of . The idea would be a celebration of your journey, overlanding and the strength of Toyota. Hey John, that sounds like a great idea. 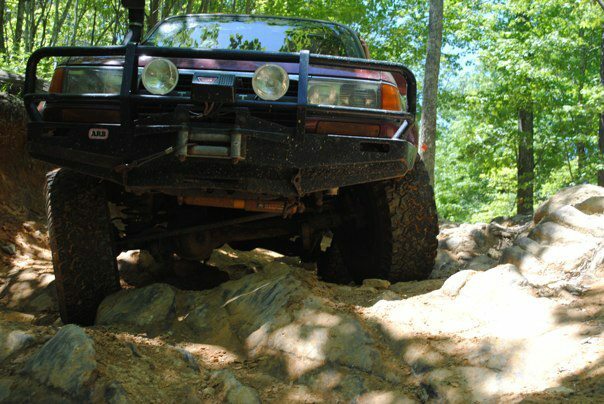 We wouldn’t have done the trip in anything other than a Toyota truck! Shoot grant an email at grantfowler@email.com and we can figure it out.